Battle uses his taut, ritualistic style to powerful effect in a dance that expertly balances chaos and resolution, dissonance and harmony. His first new work since becoming artistic director in 2011 is set to a symphonic score by frequent collaborator John Mackey. 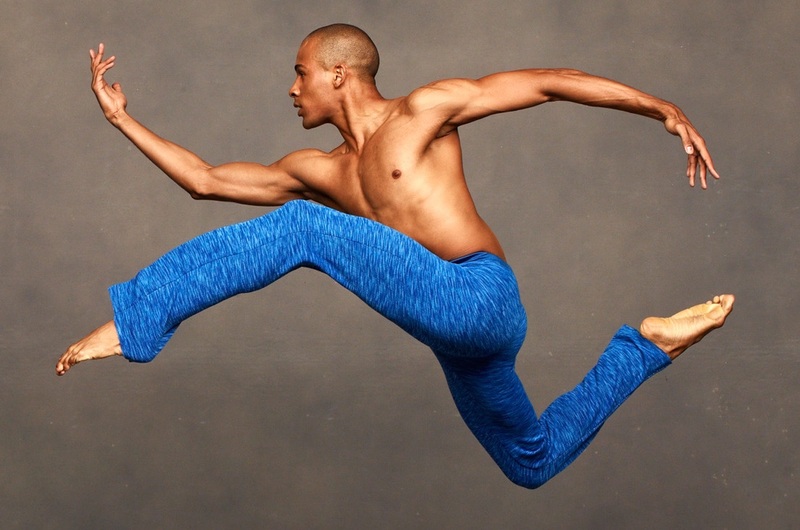 “'When I started the dance, I was thinking about Alvin [Ailey],' Mr. Battle said of the company’s founder. 'He’s always there, but I never knew him. So I was thinking of this dance as starting the moment after his death. When the dancers are running out of the wings, turning and running back in, it’s almost an internal chaos when the figure — the spirit — leaves the place.' Out of the chaos, a hero is born.... 'He’s almost a reluctant leader,' Mr. Battle said. 'It’s like Rite of Spring. You’re almost chosen. And he doesn’t quite understand what’s happening.... As much as he can stand in the center of the stage, there’s a part of him that sometimes would rather not....By the end, he takes that center spot but not without trepidation.' Mr. Battle can’t deny that the work isn’t somewhat autobiographical. At the same time, he added, 'I’m just slowly building a folk dance.'... He regards Awakening as an evolution from [his ballet] No Longer Silent, a powerful, ritualistic work.... It’s also unabashedly rooted in traditional modern dance, which might seem old-fashioned to some; he’s not embarrassed to admit that he’s deeply drawn to the form’s roots.... 'This is my chance, this is my time to tell the truth,' he said. 'It may come out a little dirty here, not so great there, but this is the time to do it. In this dance, I don’t feel I have to be cool. I don’t have to go with any trend. This is what I love.'" Awakening is dedicated to Joan Weill in appreciation of her inspired leadership, wisdom, caring and grace. Major support for the creation of Awakening was provided by the Howard Gilman Foundation. Commission supported by the Adrienne Arsht Center for the Performing Arts of Miami-Dade County with lead sponsor support from Ira and Carole Hall. Awakening was supported by commissioning funds from Cal Performances at the University of California, Berkeley. Generous support was provided by Daria L. & Eric J. Wallach, the Elaine P. Wynn & Family Foundation, Roberta Campbell & Richard Gray, the Fred Eychaner New Works Endowment Fund, and the Pamela D. Zilly & John H. Schaefer New Works Endowment Fund.